In April 2004 the International Biometric Association within the framework of the Fingerprint Verification Competition (FVC) conducted testings of biometric fingerprint identification algorithms. FVC is the world’s largest competition for the testing of fingerprint identification and verification algorithms. Moreover the leading universities and biometric laboratories from Italy, USA and Spain carry out this competition every two years. In 2004 more than 120 companies from all over the world submitted their biometric algorithms for testing. There were several fingerprint databases used for estimation. 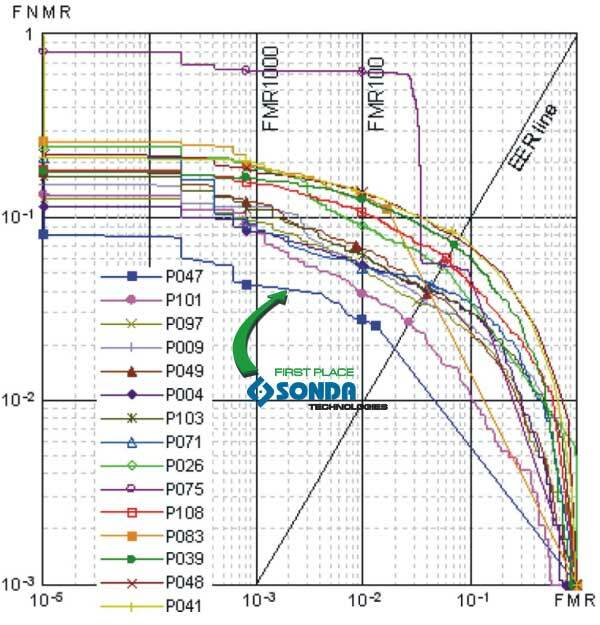 So on the two fingerprint databases obtained from the optical and thermal fingerprint scanners Sonda ranked first. In general we took an honorable 2-nd place.